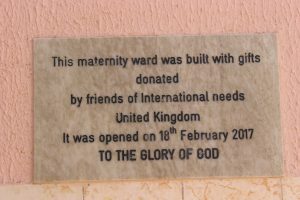 YOU DID IT – a new maternity unit in Bobo! 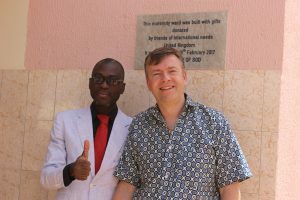 Thank you to everyone who has been partnering with us on this project, we are finally finished and the maternity unit is open for use. 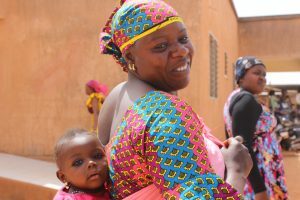 Young families, mothers and babies will experience a health centre that offers all the support required for antenatal and postnatal care as well as a safe place for delivery. With over £100,000 raised, we finally opened our new maternity unit on Saturday 18th February 2017. A big thank you to all, to individuals, Companies, Trust funds and Churches that all came together in acts of generosity and support. 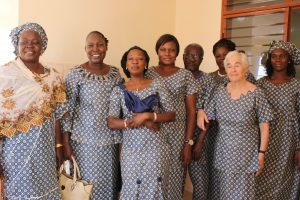 We took a team to Burkina Faso for the opening of the maternity unit. We spent a couple of days helping assemble medical equipment, clean away the building site debris and make the presentation area as tidy as possible. 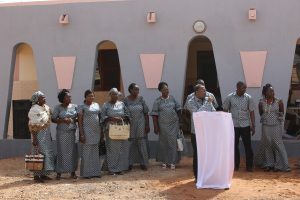 The new unit was duly opened with speeches from the governor of the region, a Presidential aide and the President of the Assemblies of God Church in Burkina Faso prayed a blessing on the medical centre and all the families that will be using this facility in years to come. All the medical staff and the visiting team wore shirts made by a local tailor to mark the occasion and even a local TV News Station turned out. I was interviewed by a journalist with a camera trained on me. “Will you commit to continuing your support from the UK? ” I was asked. We will commit to supporting along side the local team, but I reminded the viewers that this facility belongs to the local community, they will take care of it and they will make it work. We have every confidence in the team on the ground and as the population increases with more families leaving the countryside and coming to the city, demand for this facility will continually increase. Last year there were 563 healthy babies born, 2,828 women came in for antenatal and postnatal support, while the midwives and medical team treated a further 1, 332 women with other pregnancy related conditions. We are expecting that this number will grow by 30% in 2017 with this new dedicated facility. How can we help further? 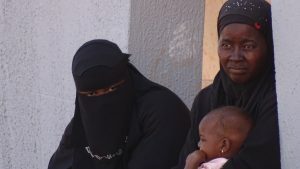 The medical teams need our support to increase their training, we would like to take out qualified midwives and medical personnel to come alongside the teams and provide additional training. Do contact us at IN for more details on this.